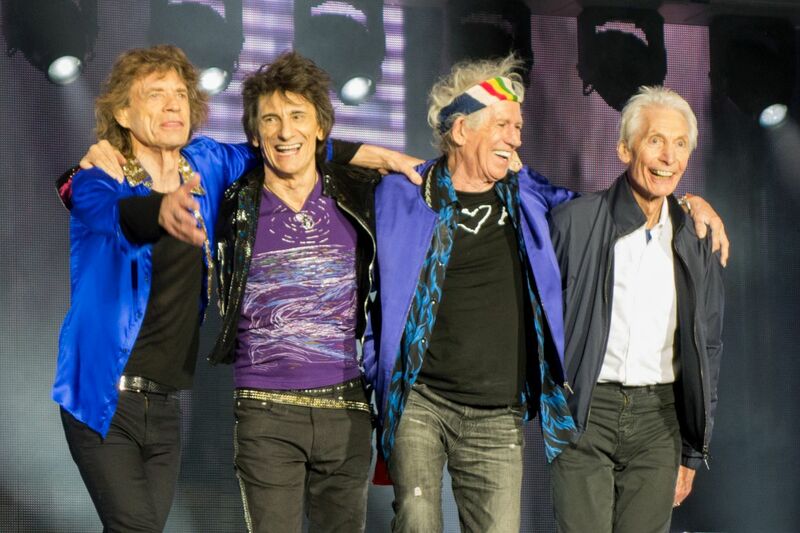 Five shows in, and the Rolling Stones played what will undoubtedly be the most scenic stop of the tour, a fairy tale combination of ancient city walls and belle ragazze. Lucca will go down as one of those special gigs where everything and everyone came together in accordance with my specifications. The organizers did their job splendidly, and it was a nice change to be able to walk 10 minutes to/from my hotel rather than deal with public transport or the lack thereof. 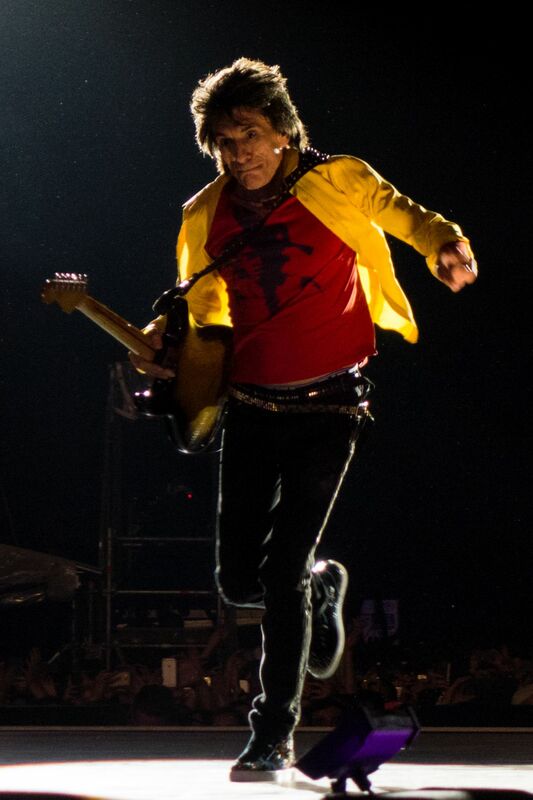 I believe it marked the Stones' first performance in Tuscany, and hopefully not the last. As for the boys in the band, it's probably about as good as it's going to get - which may not sound overly effusive, but nor is it a jab. It's the Stones as we like them. I could swear I heard weirdness in "Brown Sugar," "Satisfaction" and "Jumpin' Jack Flash." Or maybe it's my imagination. Best bet during the warhorses, is to move away from the throngs, and rock out blissfully with plenty of space. That's what I did, and I wasn't even annoyed when a drunk girl spilled beer on me. She let me finish the rest of it. That said, the Italian/English-language version of "As Tears Go By" was a deragliamento that wouldn't make the grade at Eurovision. 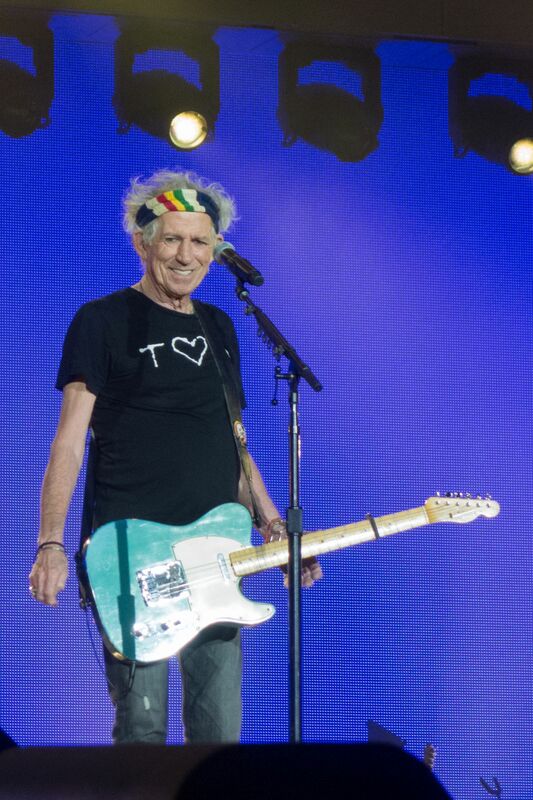 Keith took a seat to play acoustic guitar, and his first pass at the intro earned Mick's suggestion to "Have another go." Once the thing got going, it involved a lot of hand gestures between Mick and Chuck, who brought a merciful end to the song by signaling when it was time for Mick to do the fade-out "Mmmmms." And Mick mumbled something along the lines of "Yeah, I'm getting there." Thankfully no one else on this tour will be treated to this turgid, cross-border mash-up. "Honky Tonk Women" also had to be restarted after Keith played alongside Chuck's cow bell, which was potentially quite interesting. 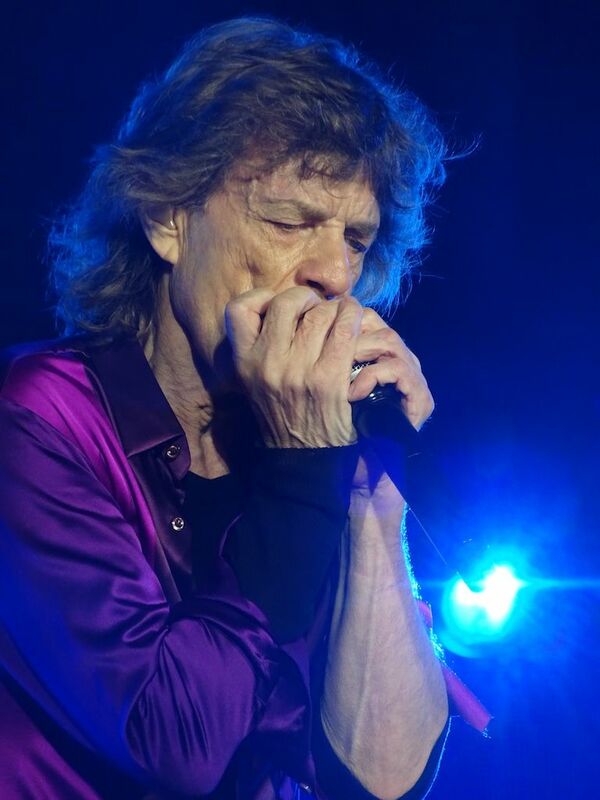 The bonus coda to "You Can't Always Get What You Want" also showed crowd-pleasing potential, but Mick cut it off almost as soon as he began it. Charlie had a funny moment during the intros. 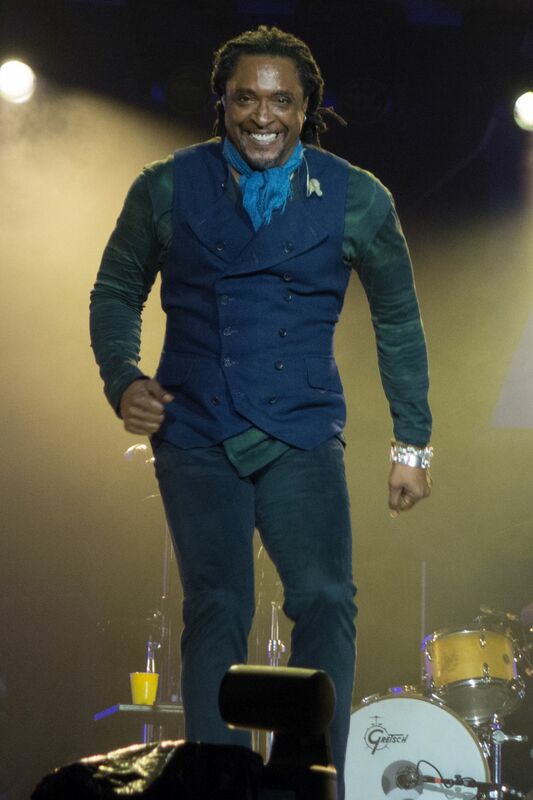 He walked towards the mike stand at the front of the stage, and expressed faux disappointment when he saw that there was no microphone attached. Then he returned for a second bow. Keith got another round of "Olés" from the Argentine contingent. It's 1:30 am and Lucca is still jamming more than 2 hours after the Stones left the stage. We need more party-town gigs like this. This was the first of my nearly 20 Stones concerts attended that I am not in the pit. Siting back on Tribuna Inferiore I enjoyed from a total different prespective. Sound was perfect from the band but I couldn't hear the crowd at all except when Keith was trying to sing. What happened with the 2nd end of YCAGWY? 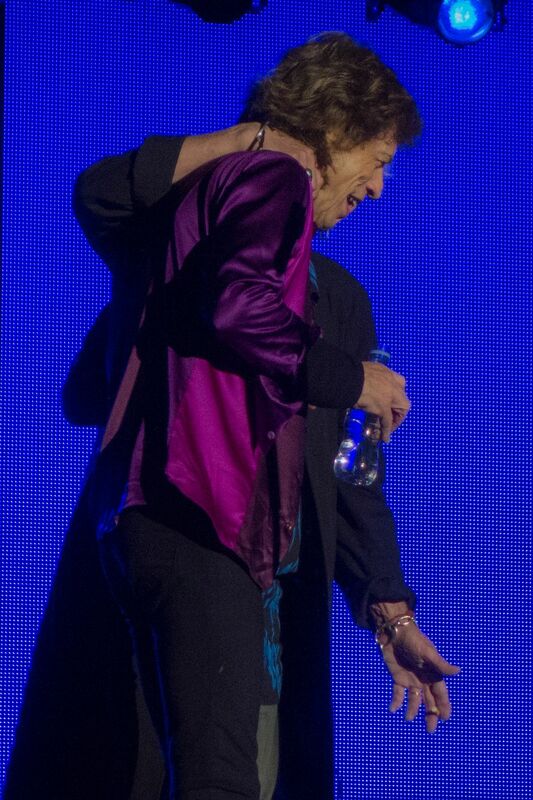 It seems that Mick wanted to restart the end of the song and Keith didn't let him ! Besides that, a great show. They looked really concentrated and happy at the same time ! See you all in Barcelona ! For me a first part so so with some approximations and a anormal quiet italien public, Lucca mura is not Circo Massino. .. But a second part on fire, Stones hurricane was on Lucca at this time. On the first part ycagwyw work perfectly heading by a briĺlant Ronnie, is solo was long and beautifull, magic wood ! The internet choice, let's spend the night together, work quite well also. 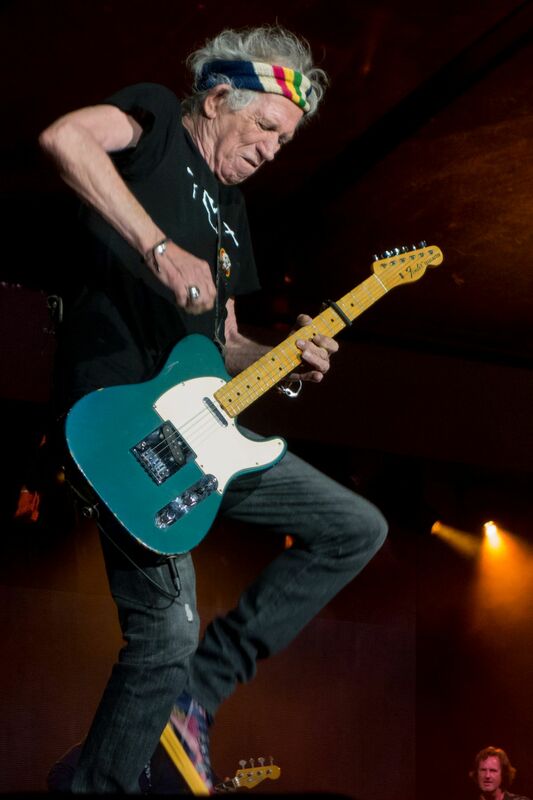 Keith gave us a magnificent slipping away, olé olé olé olé Richard, Richards ! See you in Paris for the 3 show, for me it's time to work now. All was perfect on our trip from Rome to Lucca yesterday. First Lucca organization was great, even if the actual rules about security created more long queues to go into the ground. People was very participative, and all the medioeval town was full of tongues and other Stones images, even on the cakes! It was a city totally covered by the Stones red logo. The crowd was very hot, including a group from Argentina with their Olè Olè . 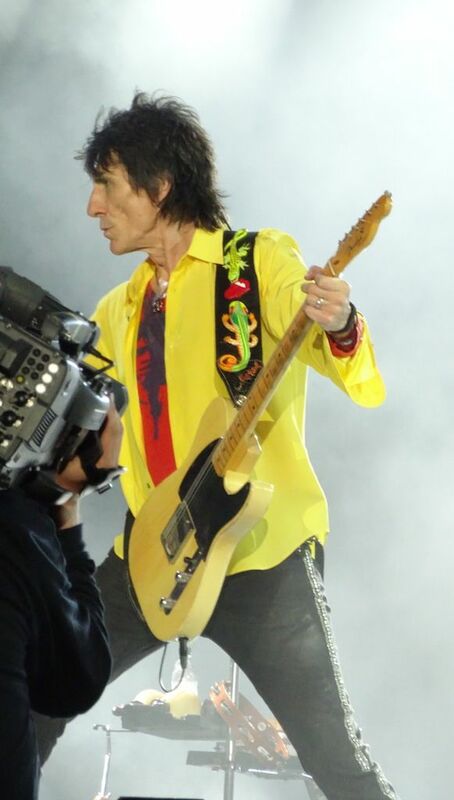 In the first part of the show it was listenable some (usual) mistake, as Keith guitar too much loud respect to the others on Sympathy and some wrong note on IORR; Honky Tonk Women needed a restart because Keith didn’t wait Chuck intro with cow-bell, but song by song the quality of the show was growing well with highlights on Ronnie remarkable solo on YCAGWYW; the crowd was singing and jumping so Mick and Chuck restarted the song for a last "all together" singing. 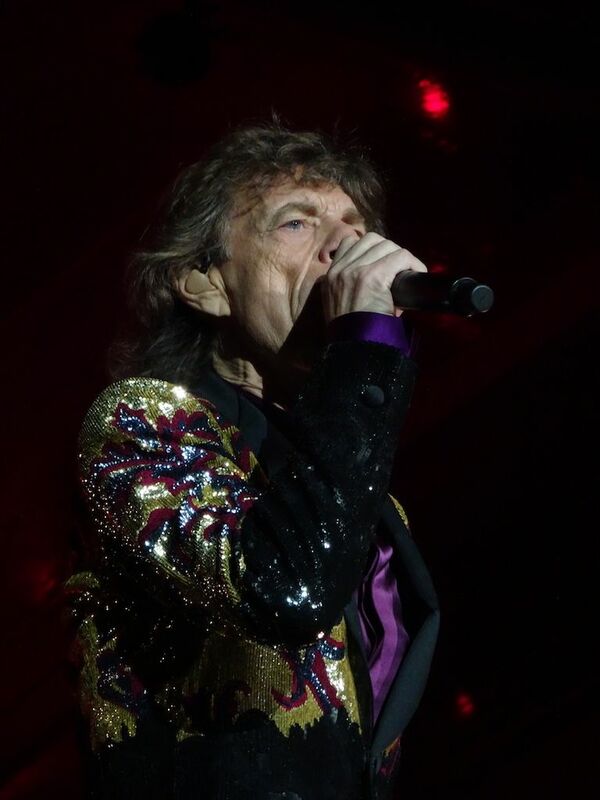 Mick Jagger was very talkative with his funny Italian and even sung Con Le Mie Lacrime (just like 2006 in Milan) almost all in Italian language except a verse in English. The blues songs from Lonesome and Blue were played perfectly, just like the album, while Street Fighting Man was played again with the strong start, like they did many years ago. The whole show was very exciting and there was great feeling between the band and the crowd. Our place was just in front of the end of the cross-walk and Mick came many times singing and dancing just at one meter from us! 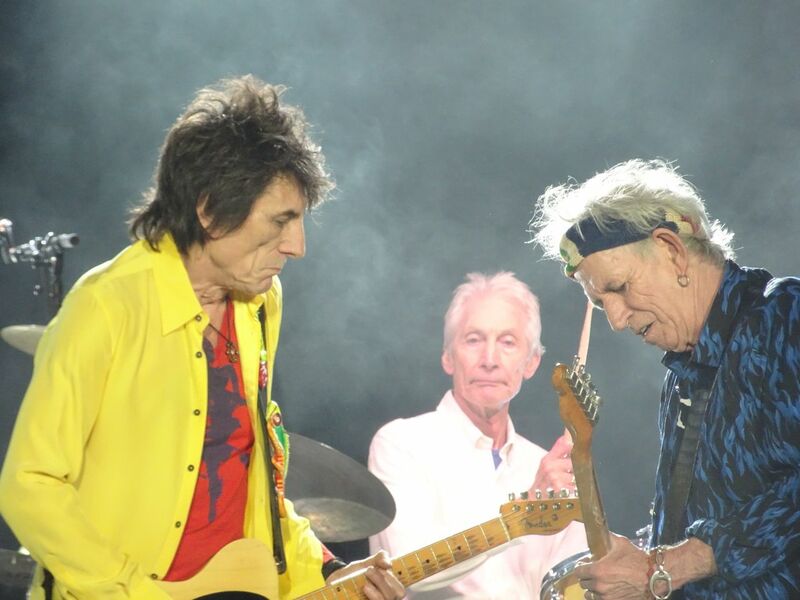 We never seen a Stones show so near to the myth!!! Paolo made fantastic pics. It was a great experience, and, as we said at Circo Massimo “this would be the last time” … or the story continues? My daughter and I were at Lucca for the show. I am, as ever, in wonderment at how the boys keep up the pace, they never let us down. The action and energy were evident throughout. 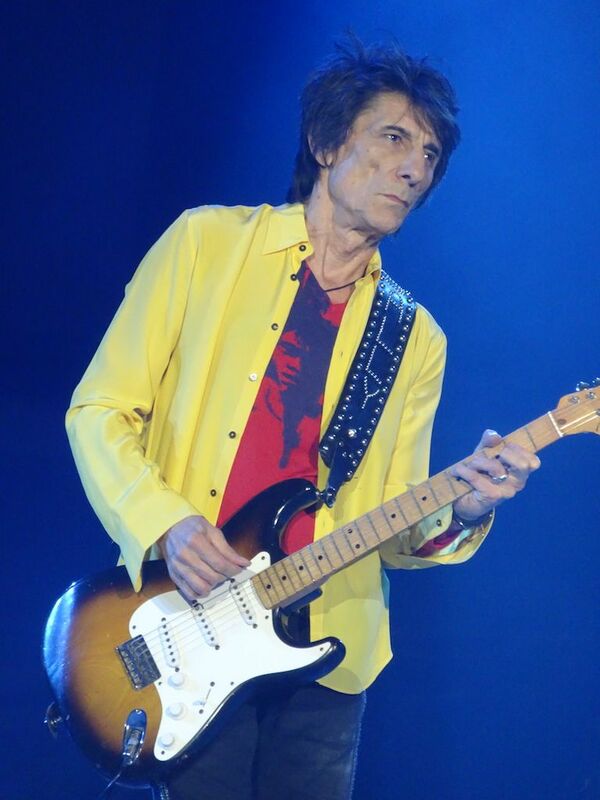 I, of course, worried about Ronnie Woods knowing that he is still recovering from cancer. Everyone previously covered the set list, which was excellent. I especially loved both songs done from "Blue and Lonesome" and we were delighted they played them. 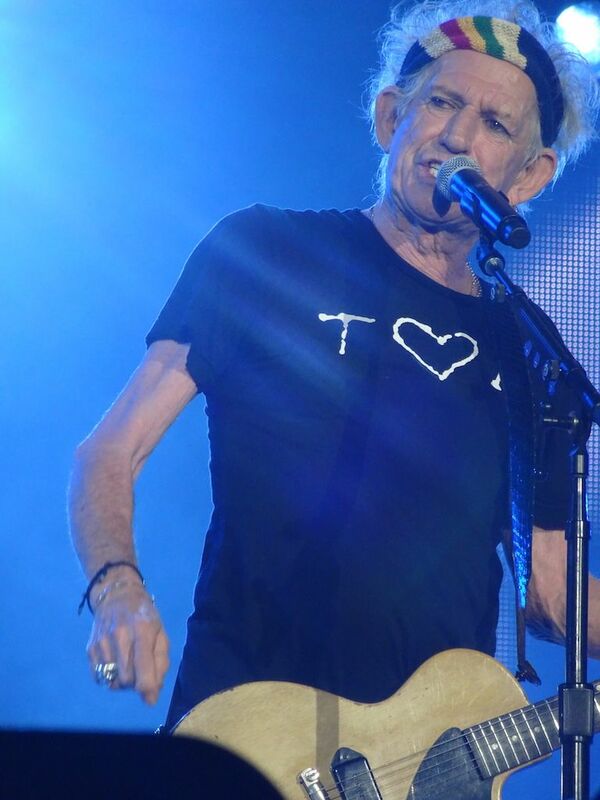 It was good to hear Keith doing, I think, more back up singing. He seems so delighted with the crowd and the venue. The crowd was great. They knew every word of every song, yet the folks around us in gold standing spoke little/no English. It was a great night and quite a young crowd, youngest I've seen since Cuba. Leaving the venue was a little tough, especially since we had an early flight on Sunday back to Dublin, which was very poor planning on our part, as the party continued on into the night as others have said. Special thanks to Bjornulf for all of his work on iorr.org. Looking forward to Amsterdam, Stockholm and Paris and already thinking too far ahead to when it all ends. As my daughter keeps telling me, live in the moment! The town of Lucca is definitely the most special location in which I have attended a Rolling Stones concert so far. Once arrived there on show day, I immediately realised that all the reports about the wonderful atmosphere in there were absolutely accurate. This is a tiny, yet wonderful town, and on show day it was literally invaded by thousands of Stones' fans. Nevertheless, everybody seemed to be very happy to enjoy this event, and I didn't see any kind of bad or annoying behaviour by anyone. Basically, all over town a big and happy Rolling Stones' party was taking place. Because of such enjoyable atmosphere, we decided not to rush into the venue, but rather stay in the old town as long as we felt like to, as we had prato A tickets anyway. When we were finally queing to get in, the security checks proved to be very strict, and I was surprisingly told that I couldn't enter unless I disposed of the mobile phone portable power bank that I brought with me. I'd never heard of such restrictions, and I relied upon the power bank in the event that I ran out of battery (which of course eventually occurred...!). Anyway, under suggestion of the security guys I sorted this inconvenient out by leaving the power bank at a coffee shop nearby, to take it back after the end of the show. We entered the venue when The Struts were just starting their set. The first song sounded promising, but after that the singer (who looked like a mixture of the 70es Freddie Mercury and Steven Tyler) just killed the climax of the performance, trying quite too hard to involve the crowd in his performance. As he himself eventually acknowledged, no one was there to listen to them, so he would have been better off just singing the songs and let the crowd have their final say after that. All in all, I think Kaleo was a much better opening act, as the Straits (especially the singer) looked pretty much over the top, and from a strictly musical point of view their songs didn't really stand out. Anyway, soon was Rolling Stones' showtime. 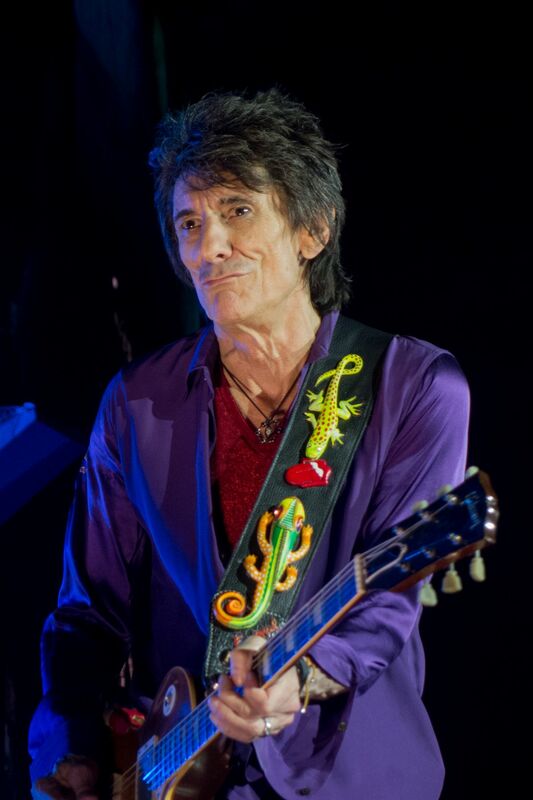 Sympathy For The Devil was not good, and maybe they should consider dropping it or having Ronnie Wood involved in the guitar solo part. Unfortunately, Keith Richards doesn't look capable anymore to play this solo in the glorious way he used to (or even in a way barely similar to it), and nowadays is getting really painful to listen to the current renditions of the song and compare it to the one of Tokyo Dome 1990, for instance. After that, they played "It's Only Rock'n Roll". 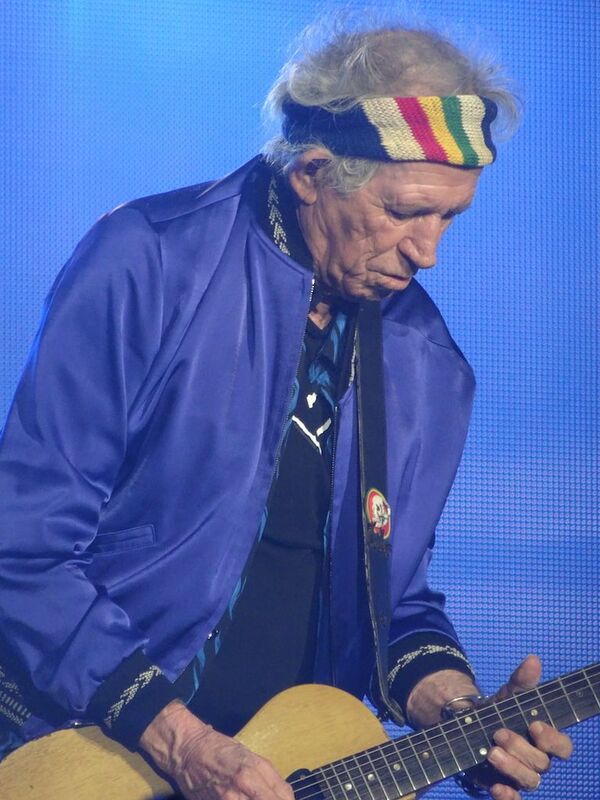 As Keith Richards failed to play the intro of the song properly, I thought that this concert would be a very problematic one. 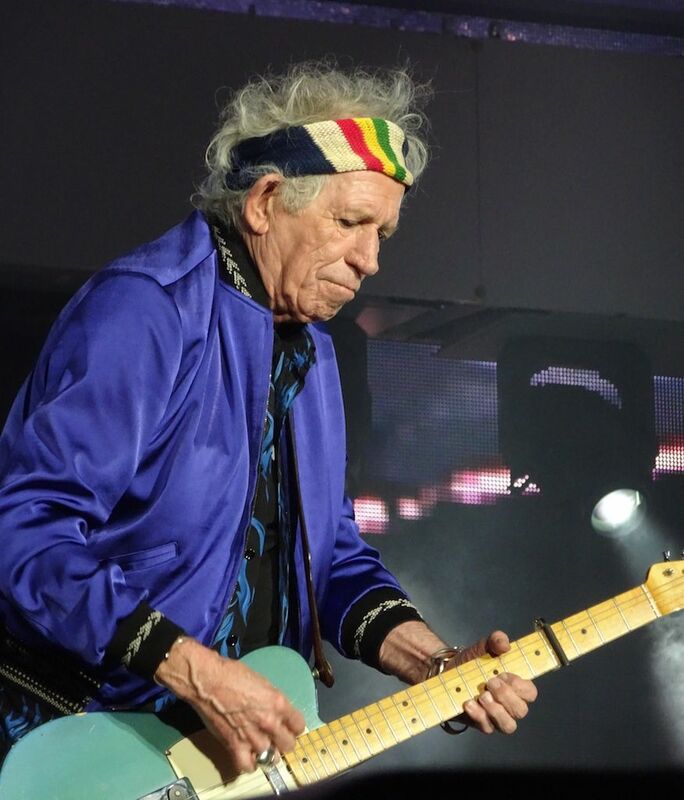 However, the rest of the song was brilliantly played by everyone, and, despite the earlier flaws, Keith Richards looked relaxed and totally in control. "Tumbling Dice" was also really well performed, and, most notably, it was faster than in Hamburg (the other gig I've attended so far). Generally speaking, the overall playing of the band was much faster, tighter and more energetic than in the opening night. The band eventually entered straight into the "Blue And Lonesome" segment of the show. I was really looking forward to hear "Hate To See You Go", which was performed in the previous gig in Zurich, but they played the same tunes as in Hamburg, I.e. "Just Your Fool" and "Ride 'em On Down". 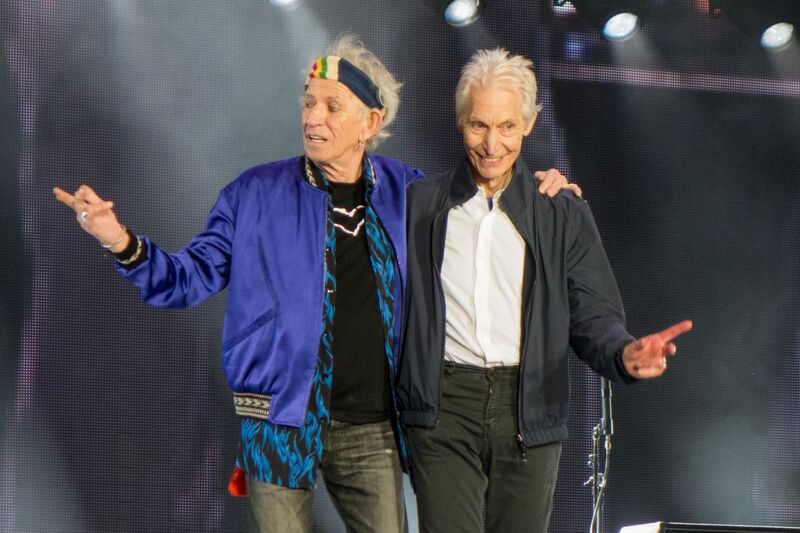 They were both excellent, and it really seems that the Stones can do no wrong with this kind of stuff. Despite having been performed also in Rome three years ago, "Let's Spend The Night Together" was chosen through the official app "vote". That one worked really well, and the energy level of the concert kept growing. My expectations have once again been disappointed in the "ballad" slot of the show. I was pretty much sure that they would play "She's A Rainbow", which seemed to me the most logical choice, taking into consideration the setlists of the previous recent Stones' gigs in Italy. However, they decided to play "As Tears Go By" instead, and more precisely the Italian version of it, titled "Con La Mie Lacrime". One one hand, that is clearly a brilliant idea, but on the other they had already pulled it off in the 2006 gig in Milan, so it failed to surprise me. The performance of the song was lovely though, even if Jagger miscued the ending, so that they had to re-play a chorus (in English) and bring the tune to its proper end. "You Can't Always Get What You Want" was also performed much better than in Hamburg, whereas "Paint It Black" confirmed to be an absolute winner. 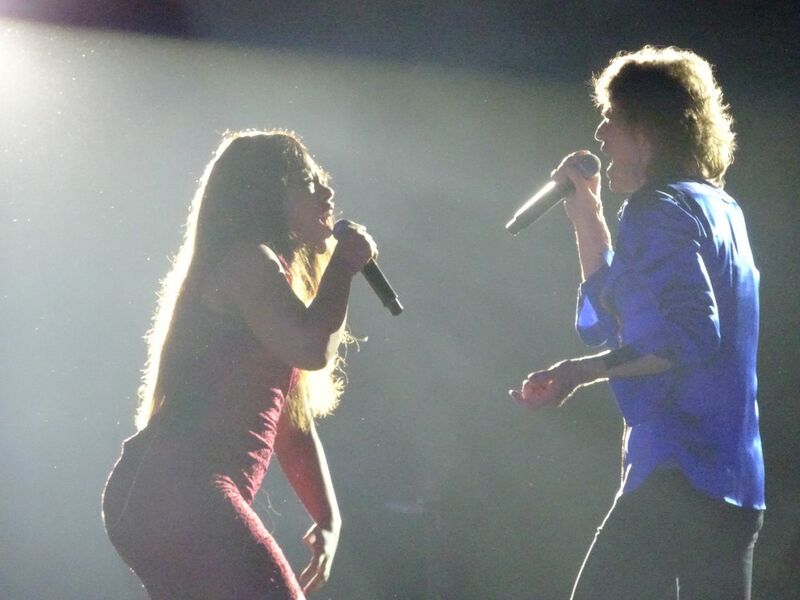 The audience loved both numbers, and Mick Jagger, of course, made a great job working the crowd. 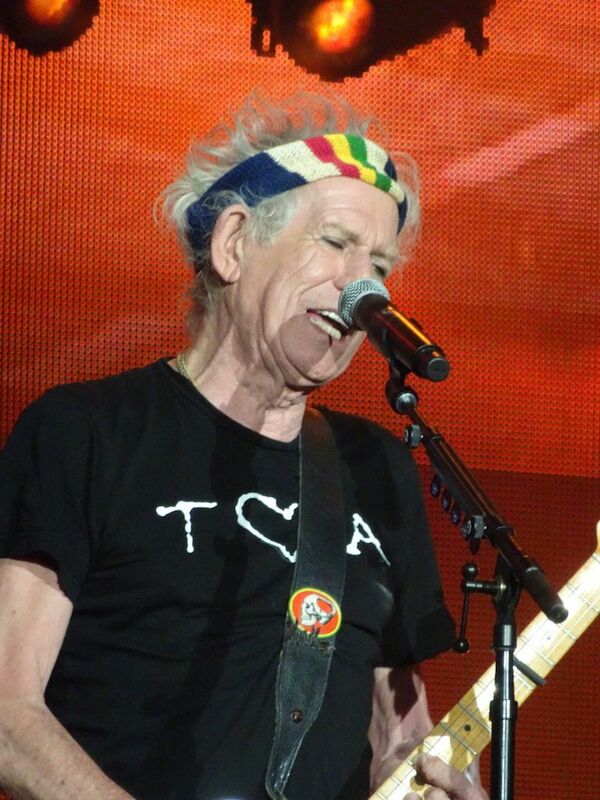 Then the concert proceeded according to the usual set list, and after "Honky Tonk Women" Keith Richards took the microphone and performed his own set, featuring "Happy" (very good) and "Slipping Away" (good but not so much as in Hamburg, where it was superb). Mick Jagger came back on scene playing an electric guitar, and the stage suddenly turned into a big disco pub with the band performing "Miss You", and after that was the turn of "Midnight Rambler". What a song. And what a performance! It really rocked the house and the band was firing on all cylinders while playing it. There was great room for interplay and improvisation, and Keith Richards really carried the band in this number. Definitely much better than the Hamburg rendition. The usual warhorses streak followed, and most of them have been played and performed beautifully: "Start Me Up" rocked big time, "Street Fighting Man" was nothing short of epic, and "Satisfaction" turned the crowd nuts. 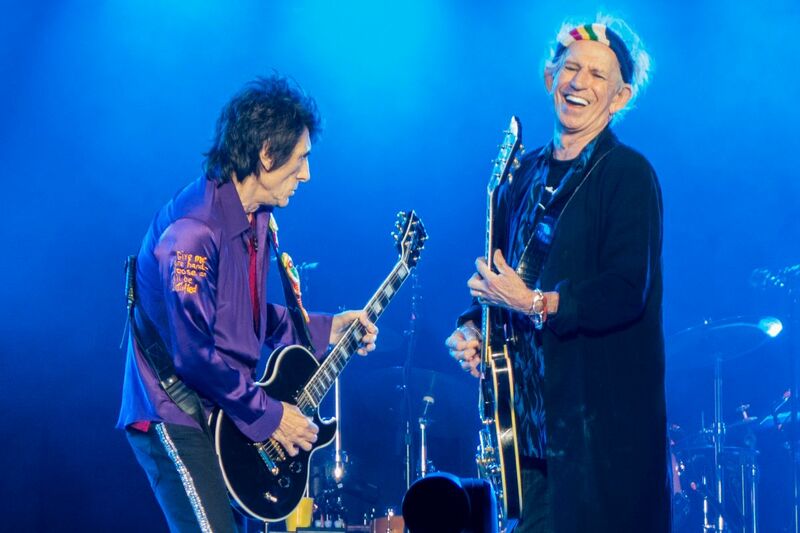 In "Brown Sugar", however, some kind of misunderstanding occurred between Mick Jagger and Keith Richards, as the former started singing the verse while the latter kept playing the refrain. Anyway, this is a typical situation in a Stones' live setting, and it was really interesting to watch the band work this issue out nicely. It's also funny that, if memory serves, the very same occurred also at Circo Massimo three years ago. But it really "is no hanging matter and no capital crime". 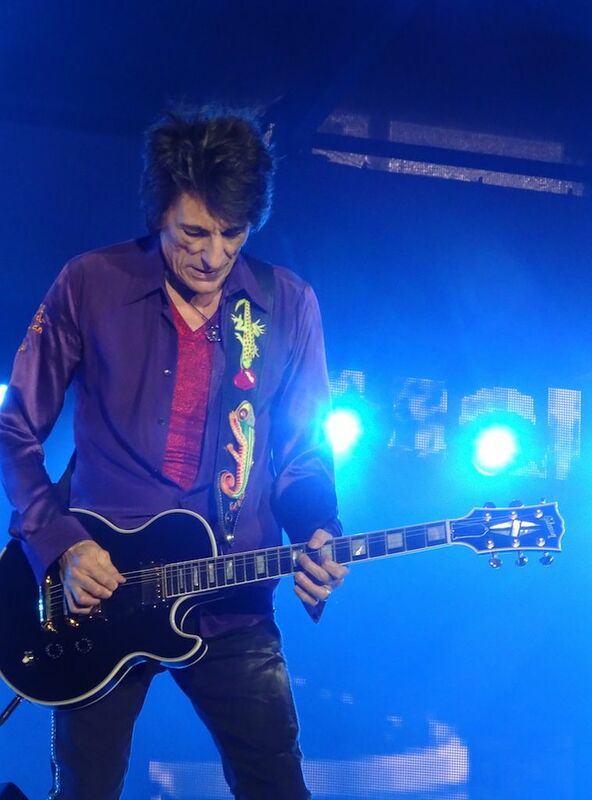 Finally, the encore featured "Gimme Shelter" and "Jumping Jack Flash". As ragged as may be Keith Richards' execution of the intro, "Gimme Shelter" sounded really good and strong, and I keep maintaining that the song has been furtherly enhanced by Sasha Allen's interpretation. "Jumping Jack Flash" was also very powerful, and sounded to me that Keith Richards played the riff more like the studio version. At one point, Keith Richards started playing the instrumental break instead of the chorus, but Ronnie Wood followed him until they both turned back to the chorus letting Jagger sing the second verse. This episode reminded me of a statement (allegedly) by Frank Zappa, claiming more or less that "a mistake made once is a mistake, but repeated twice becomes a new arrangement". So, despite trying out a few of such "new arrangements", the Stones in Lucca really delivered. The show was powerful, the song have been sped up a bit and the energy level was much higher than in the opening night in Hamburg. 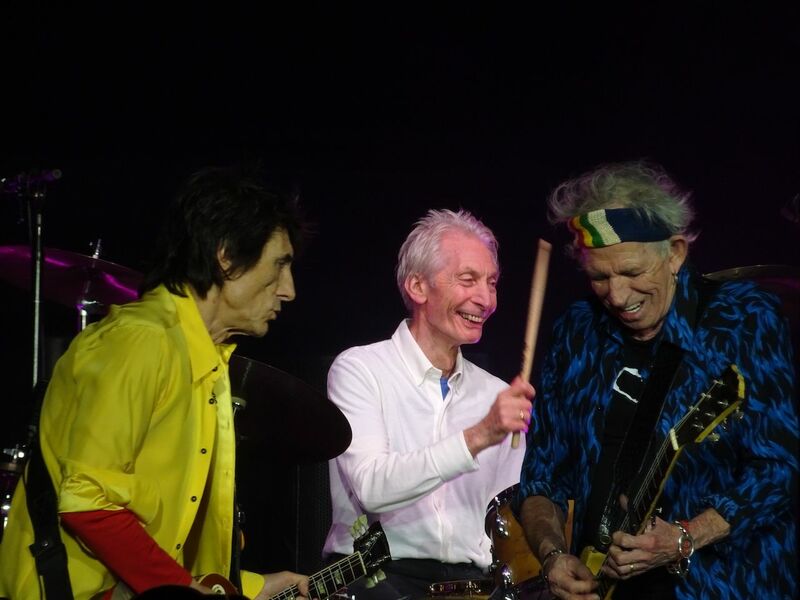 Charlie Watts was really solid, and Mick Jagger was fantastic. 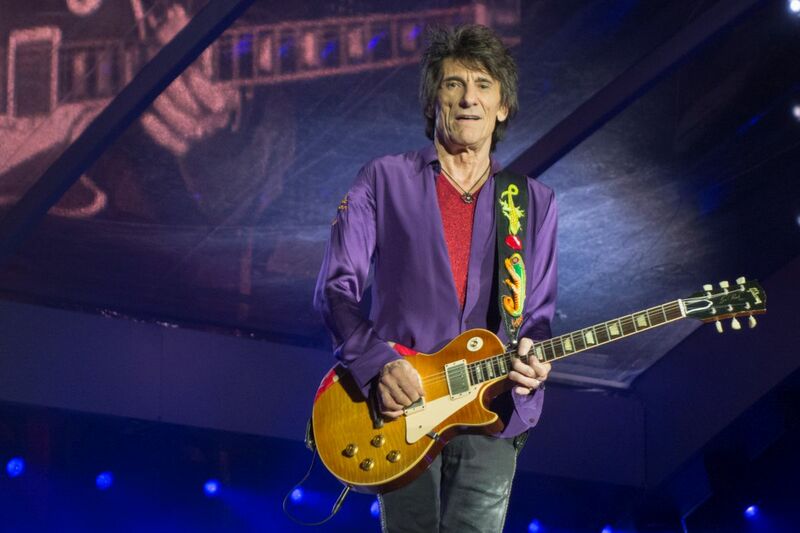 Ronnie Wood also sounded good, and Keith Richards looked like he was really enjoying himself. 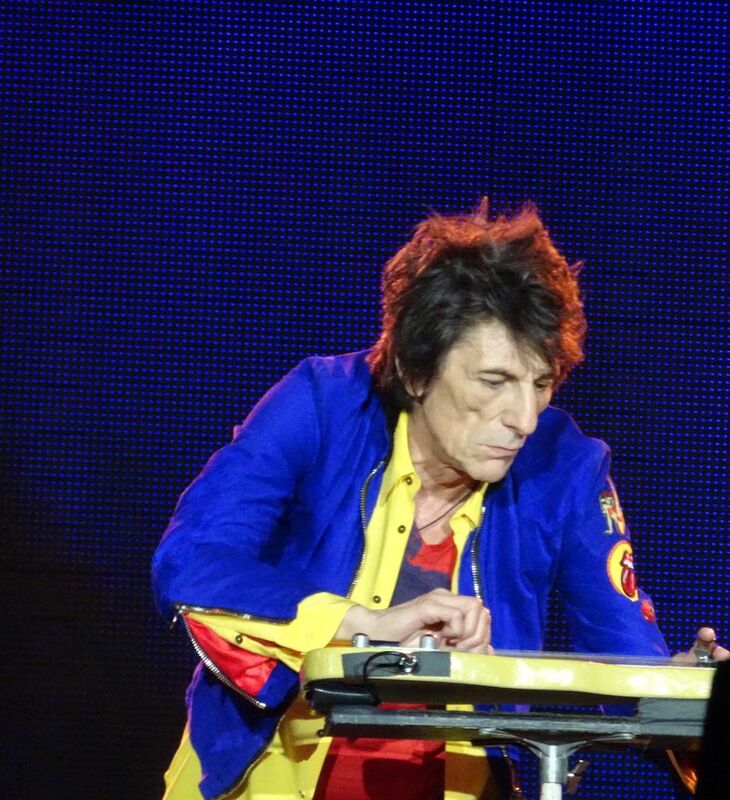 Had the Stones performed Hamburg's set list with Lucca's energy level, that one would have been the perfect show. Anyway, albeit there's still room for improvement, it really looks like the intensity level of the band's performance is improving night after night, and I'm really curious to see what they have in store for the other two shows I will be attending in this tour! My 2nd stop on this tour.what a wonderful city and friendly italian people, but hell to get to the prato b entrance. Nobody from the security people knew what to do with lucky dip tickets..After a long time we found our spot on the field.it was a very long wait from 1400 o clock..but then Bang - band was very tight. Another great gig.stand outs this time Sftd only rnr as tears go by slipping away.Keef did his utmost and it was beautiful.crowd was better than in hamburg. sfm was great too. I thought happy did not went well. Too much too mention. The band was on fire as was Lucca with all the Stones tongues Stones pastry and full of fans. The atmosphere was a highlight for me. 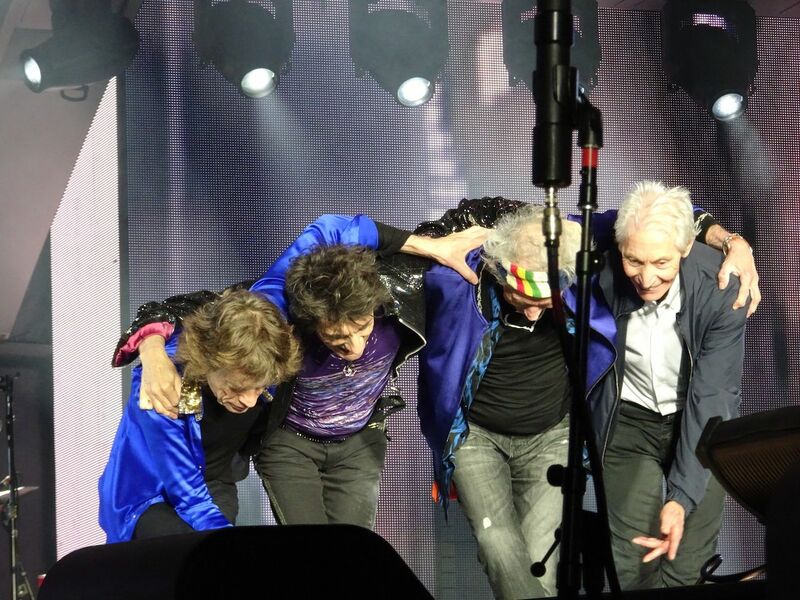 Thank you Lucca and the Stones. See ya in Amsterdam.